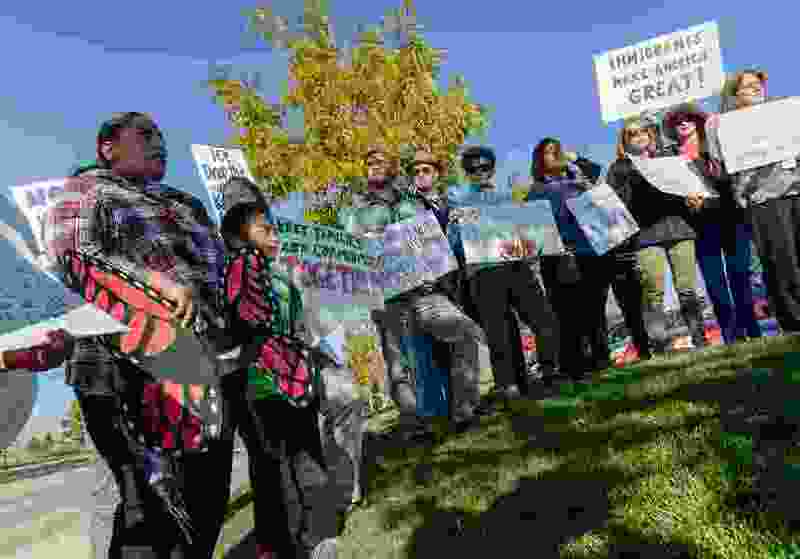 (Francisco Kjolseth | The Salt Lake Tribune) Community members rally in front of the Immigration and Customs Enforcement offices in West Valley City on Monday, Oct. 16, 2017, to support Maria Santiago Garcia, at left, a single Utah mother of four U.S. born children who faces an impending deportation order. Since President Donald Trump took office, agents working out of a Salt Lake City field office increased arrests of suspected illegal immigrants by 24 percent — and doubled the number of people deported. That’s according to statistics released Friday by U.S. Immigration and Customs Enforcement. The agency’s Enforcement and Removal Operations (ERO) field office in Salt Lake City covers Utah, Idaho, Montana and Nevada. That mirrored increases nationally, with ICE reporting that arrests in fiscal 2018 — which ended Sept. 30 — reached the highest levels since 2014. Trump campaigned promising to get tough on immigration enforcement. 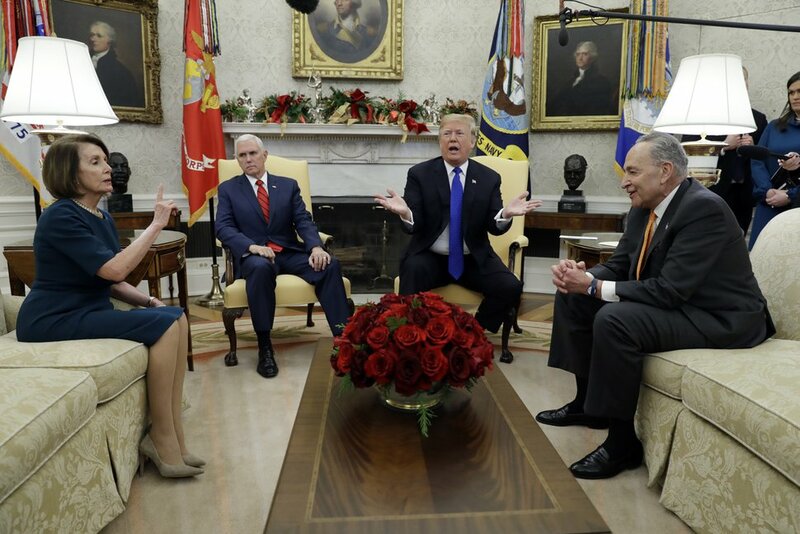 He is continuing that, including threatening to shut down the government next week if Congress will not fund his proposed wall along the Mexican border. Trump’s orders expanded the arrest, detention and deportation of people in the nation illegally, including those with little or no criminal history — or who had lived in the country for years. In fiscal 2018, the Salt Lake City field office arrested 5,754 immigrants, up from 4,638 in 2016 before Trump took office. The pending charges category can include people who have been arrested by police but are not yet charged — or may never actually be charged with a crime. Data also show that the number of “removals,” or deportations, by the Salt Lake City field office in 2018 was 3,408 — nearly double the 1,731 that occurred in 2016 before Trump took office. Nationally, ICE reported that it arrested 158,851 aliens in 2018. That was up by 44 percent from the 110,104 arrested in 2016 before Trump’s presidency. Also nationally, ICE said 256,085 immigrants were “removed” or deported in 2018, up 6.5 percent compared to 2016. ICE said that 66 percent of the aliens it arrested nationally in 2018 had criminal convictions, 21 percent had pending criminal charges and 3 percent had previous final deportation orders. Ten percent had no criminal history. Also, the report said 5,914 of the removed illegal aliens nationally were classified as either known or suspected gang members or terrorists, a 9 percent increase over fiscal 2017.